I can’t believe New York Fashion Week has come and gone. It was a whirlwind of a week, full of so many inspiring collections by my favorite designers! I always love attending each season to see what’s in store for the fashion forecast, and fall 2015 can’t get here soon enough! There are so many pieces that are already on my autumn wardrobe wish-list! 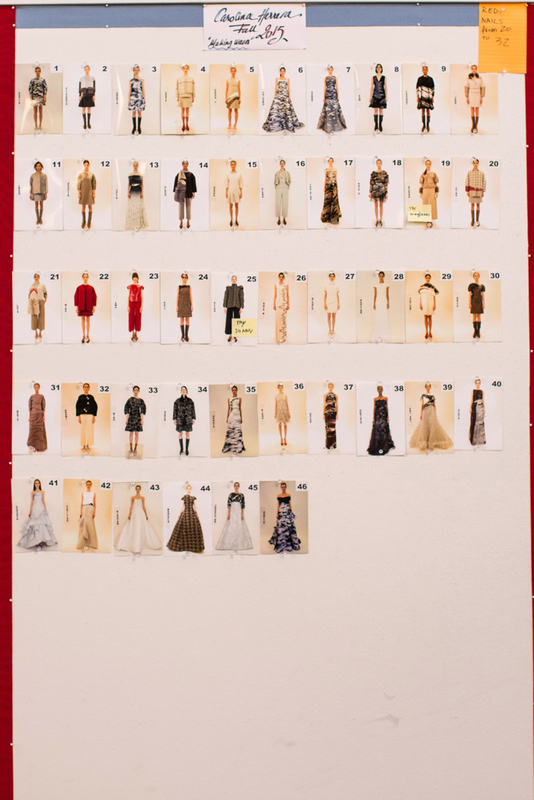 Today I’m taking you behind the scenes of the Carolina Herrera show. I was lucky enough to get to go backstage with SK-II to watch all the preparation for the show. 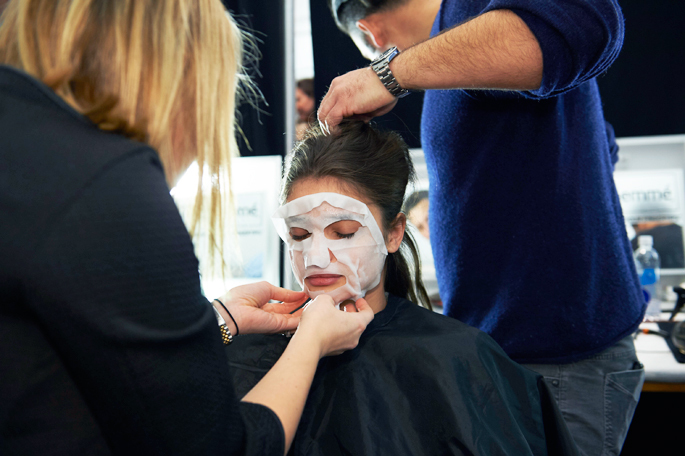 First, each model got their skin prepped for 10-15 minutes with the SK-II Facial Treatment Mask. 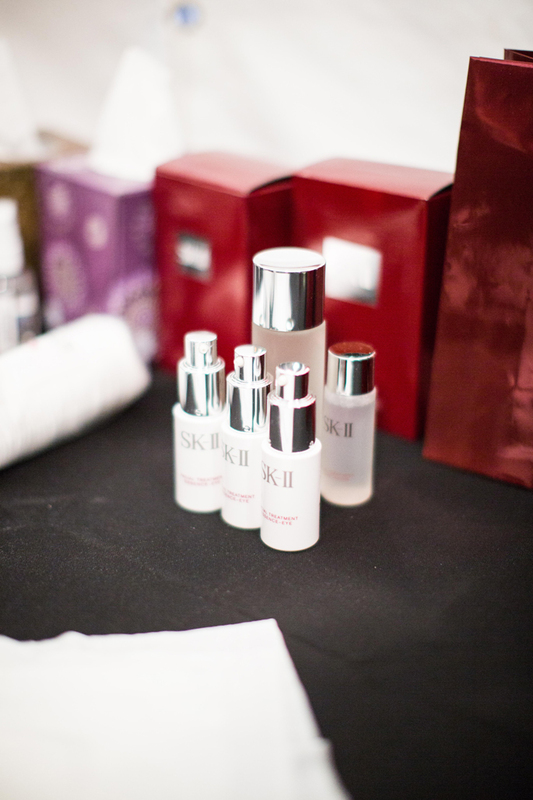 Then the SK-II team sprinkled a small amount of Facial Treatment Essence into a cotton round and gently massaged into their skin, revealing a moisturized, glowing base for makeup. Next makeup artist, Diane Kendal, created a fresh and elegant look with matte raspberry lips and a sunlit eye. 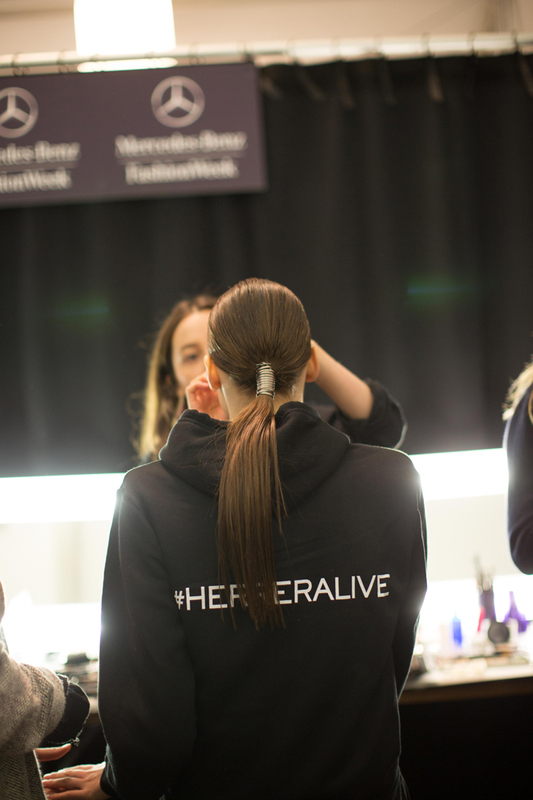 Finally each model’s hair was styled in a sleek pony, which was the perfect fishing touch! It was so incredible to sit down and watch the collection come to life on the runway after watching all the backstage madness before hand. You can view Carolina Herrera’s complete Fall 2015 collection here. +Rachel: What are some of your winter skincare tips? +Beau: Skin changes when weather changes. I think its so important to keep in mind how your skin reacts to the different changes in climate and to adjust your skincare accordingly, especially if you live in an area that has an extremes in weather, or if you travel often like I do. I spend part of my time in LA where it’s semi-arrid and sunny but in NY where its humid and cold my skin behaves differently. I use the same cleanser in both places (SK-II Facial Treatment Cleanser) and I follow up with SK-II Facial Treatment Essence (which I put in a spray bottle and mist over my face) but I change my moisturizer and eye cream. For New York winters my skin loves LXP Ultimate Revival Cream and SK-II Essential Power Eye Cream. In LA when I find my skin is a bit drier and lacking radiance, I use SK-II Brightening Derm Moisturizer and I follow up with SK-II Facial Treatment Essence Eye in addition to my Essential Power Eye Cream. +Rachel: What are some ways that they can keep their skin looking beautiful and feeling fresh after a long week of work or travel? +Beau: SK-II Facial Treatment Masks save me and my clients skin when we travel. The Pitera masks almost act as a reset on skin after a long flight. They put back the moisture that the plane air steals. The best thing you can do is to wash your face as soon as you can after you get off the plane, and then sit for 20 minutes with a SK-II Signs Eye Mask and a SK-II Facial Treatment Mask on. This will help re-balance skin and give you an immediate radiance and plumpness that makes you look like you slept 12 hours instead of watched 3 really bad movies and sat in a really uncomfortable seat for most of the day. +Rachel: A lot of us have Spring vacations coming up and I always notice that when I travel my face is more prone to breakouts. What are some tricks I can do to avoid that? +Beau: Try to be conscious of touching your face during the flight. Its really hard to do because there isn’t a whole lot of space, and I know for myself I end up holding my face in my hands to try to sleep and or get comfortable, but if you can avoid it, do, or at the very least make sure you get up and wash your hands a few times during the flight. I also feel like the air quality in the planes can really affect your immune system, which then effects the quality of your skin. I travel with a special oil that I lubricate my nostrils with and it helps make sure that they don’t dehydrate and allow any viruses in. 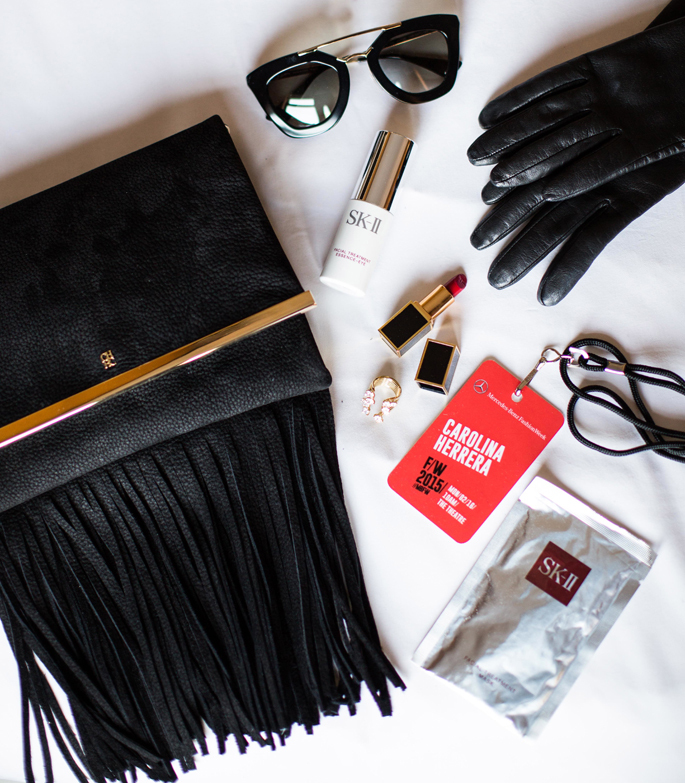 Thanks for following along on Instagram last week of all my adventures at fashion week, hope you enjoyed! Brought to you by SK-II. What an awesome experience! Glad you enjoyed the NYFW! Beautiful pics. SK-II have an amazing range of products and I have finaly decided to test them out. Love your outfit, it’s so stylish and minimalistic perfection! Looks like Fashion Week was SO much fun!! Thanks for sharing these behind the scene shots! Looks like so so much fun! Also love your all black look! SO chic! You are rocking that sleek pony! I feel like I’ve been seeing these strange, papery facial masks a lot recently. What’s the idea behind that particular concept? What did you/your skin think of it? Gimmicky or revolutionary? Great tips! So exciting to be backstage! love these behind the scenes shots and your lace coat! What a great experience for you! Congrats! I loved the fresh, clean look of the models skin. 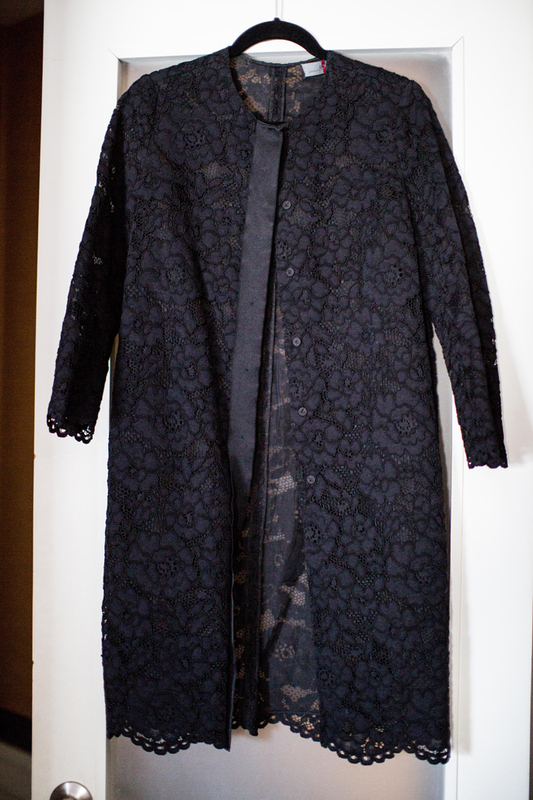 And I also love the black lace jacket you are wearing in these photos! I really want to try Tom Ford lipstick! SK-II is amazing. I am obsessed with great skincare tips! One of the things I have been doing lately is adding some coconut oil to my skincare routine. First I use it to remove makeup before cleansing and then after I have applied my products, I add a little to the drier parts of my face. It really makes me glow and has not led to any breakouts! Adore the coat you’re wearing Rach! Love the backstage access! 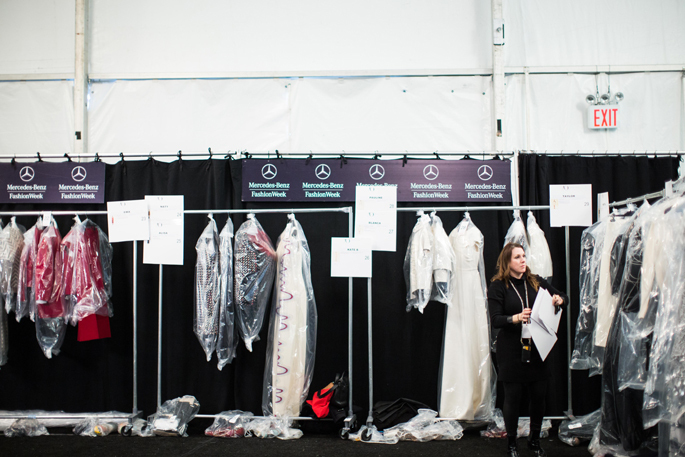 So fun to see all of the backstage snaps! This interview is awesome! Thanks for sharing all those great tips. I travel a lot, too and my face always seems to break out by the end of it. I’m definitely going to be trying some these tips and tricks! Out of this entire post, the only thing I care to know is what this oil is that he uses that keeps his nose hydrated and virus-free! I would imagine coconut oil would work well-anti-viral/anti-bacterial and hydrating. you look fab in this all-black! What a fun backstage look! Hello. Could you please tell me which lipstick are you wearing. It looks gorgeous on you. Thank you in advance! I love the bag from this post! Your all black outfit is so chic. Great skin care tips too!